Dan Mullan/Getty ImagesJust eight teams remain in the fight for the 2018 World Cup — with the quarterfinals officially set, here’s where every team stands as they hope to find three more wins en route to lifting the trophy. 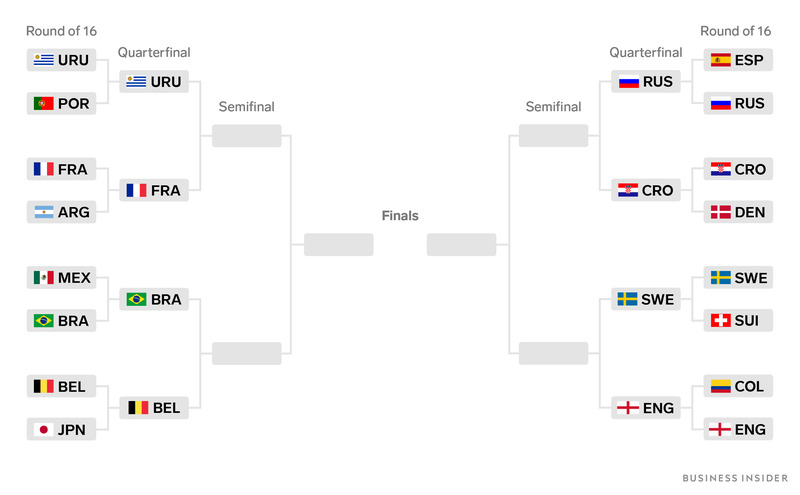 After a wild start to the knockout round, just eight teams remain in the 2018 World Cup. The “side of death” has lived up to its name so far, with some tense football eliminating the likes of Ronaldo and Messi. Still, there’s plenty of great matches to be played before a champion emerges to lift the trophy. Below we take stock of every team’s chances as they stand just four wins away from World Cup glory. Chances to win based on FiveThirtyEight’s Soccer Power Index ratings. 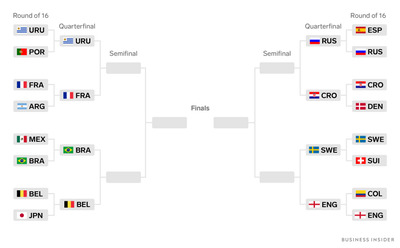 The first round of the knockout stage saw some heavy hitters fall – both Ronaldo and Messi will be watching the rest of the tournament from home after the losses of Portugal and Argentina, and Spain’s disappointing showing against Russia makes the path to the final on the right side of the bracket look even easier than expected. Regardless of matchups and paths, now just eight teams remain with a chance to lift the trophy. You can keep up with the schedule and all of the results of the World Cup as they happen here. 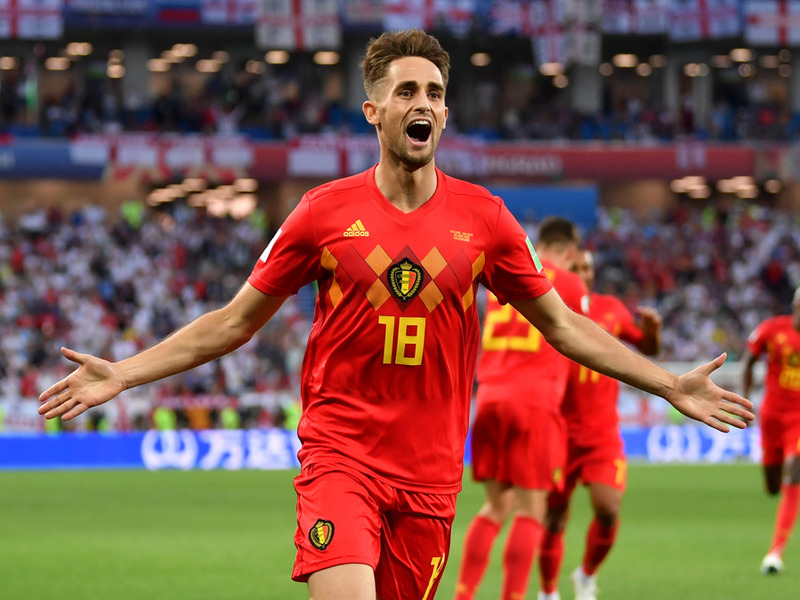 One thing to know: While it wasn’t pretty, the host nation pulled off one of the biggest upsets of the tournament, eliminating Spain in a penalty shootout after playing a compact defence against an uninspired Spanish attack to a 1-1 draw. They might be at the bottom of these rankings, but anything can happen in a single match, and it might not be wise to bet against the home team. One thing to know: Sweden has not missed the presence of self-proclaimed soccer god Zlatan Ibrahimovic, having already secured the country’s best World Cup finish since 1994. 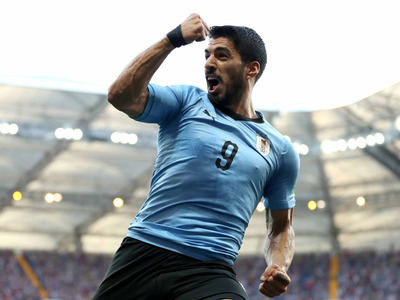 One thing to know: Uruguay conceded its first goal of the tournament against Portugal in the round of 16, but was able to contain Ronaldo and company enough to hold on to a 2-1 win. 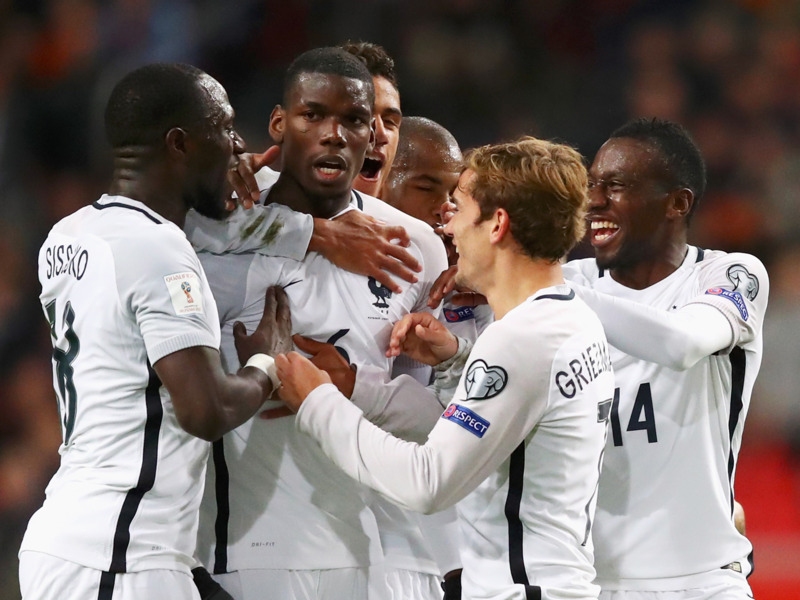 The team will need its defence to be just as effective against the offensive firepower of France should they hope to advance to the semis. One thing to know: It was far from pretty, but Croatia’s win over Denmark on penalty kicks was a good example of why “survive and advance” is the mantra of any knockout bracket. Now the team is a win over Russia away from reaching the semifinal for the second time in history. One thing to know: Belgium needed a miracle to escape its knockout round match against Japan before extra time, and got one in the form of a perfect dummy from Romelu Lukaku that will go down as one of the best plays of the tournament. The Red Devils head into their game against Brazil as underdogs, but should they prevail, will likely be the favourites of the semifinals. 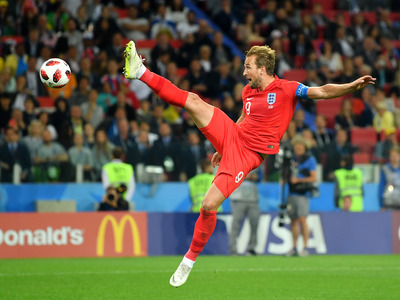 One thing to know: England lost its final match of the group stage to Belgium, but it may have worked out in the Three Lions’ favour, as they wound up on the easier side of the bracket. 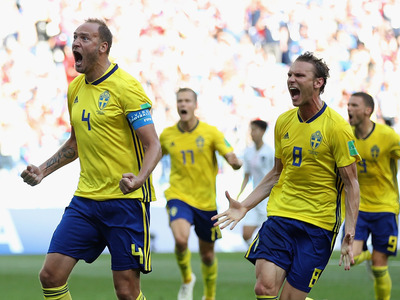 Rather than facing off against Brazil for a spot in the semis, England has the easier task of taking on Sweden. One thing to know: Kylian Mbappe is making his mark on international soccer at just 19 years old, scoring twice for France in the first match of the knockout stage and proving an absolute menace whenever the ball is at his feet. One thing to know: Four years after Brazil’s embarrassing 7-1 loss on home soil to Germany, the team looks primed to make a run to the final. Neymar is playing like the superstar the team needs, and no team in the field has the talent to match them front to back.